All you have to do is create a new event , use the Gift Certificate template and then fill in the blanks. We even have a sample gift certificate template for you to download, personalize and send. You can specify a minimum and maximum amount. You create a discount code that the recipient enters at the time of registration. 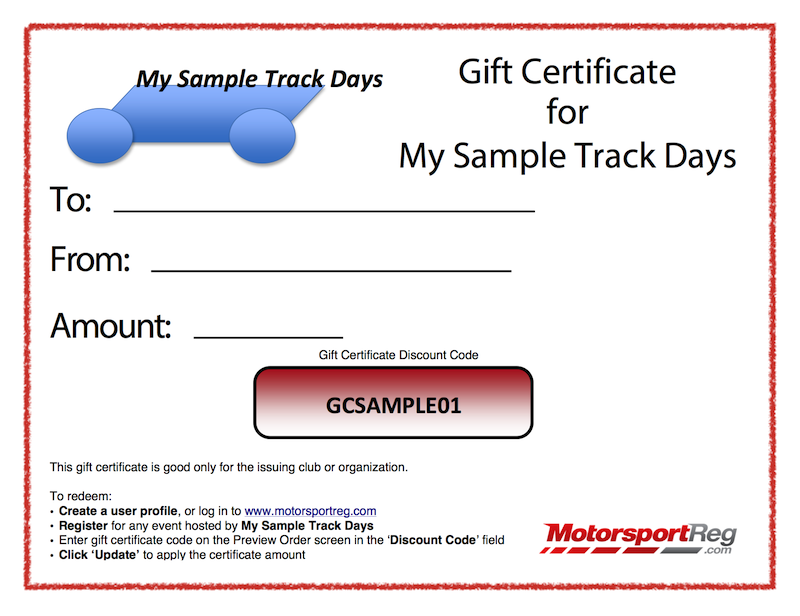 The gift certificate can be redeemed for any type of event that your organization offers - autocross/ solo, driver's education/ schools, tours/ concours, club race, track day, etc. Make it easy, make it fun -- make it the best holiday ever for your participants by offering gift certificates to your events..